and debit cards -- and of course PayPal. 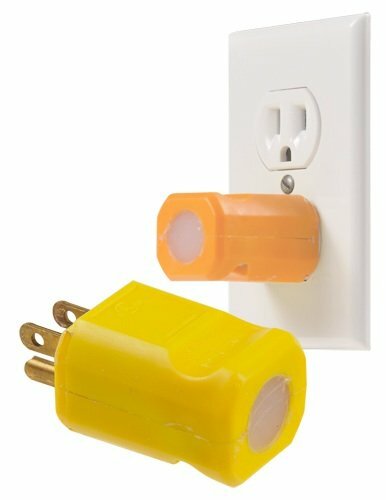 The Aulterra whole house plug fits into any electrical outlet to retune the wiring. Also, it prevents outside EMFs from getting into the house. One Aulterra whole house plug works for most homes and offices buildings (up to 5,000 sq ft). NOTE: The color may be yellow, orange or gray, whichever color we receive from the manufacturer. Unlike other EMF blocking devices, the Aulterra Neutralizer will not affect cellular phone reception or transmission. Your phone will still be the convenient communications tool you wanted it to be–it will just no longer be dangerous to your DNA and your health. The reasonably priced Neutralizer™ will be a small price to pay for the safety and peace of mind that comes with knowing you and your loved ones are safe from the harmful effects of EMF exposure. Contact Aulterra or your health care professional today to get your supply of Aulterra Neutralizers™. 2) Penn State University, "DNA and the Microwafe Effect," January 20, 2001. 3) Phillips, J.L; Ivaschuk, O.; Ishida-Jones, T.; Jones, R.A.; Campbell-Beecher, M.; Haggren, W., DNA Damage in Molt-4 T-lymphoblastoid cells exposed to cellular telephone radiofrequency fields in vitro. Biolectrochem. Bioenerg. 45:103-110; 1998. I JUST got the Neutralizers in the mail. Thank you so very much for your kindness. I sincerely appreciate your following up on this for me. Great company, great customer service!! I’m telling everyone! Thanks again. My husband was talking hours everyday on his cell phone and getting foggy and tired by mid afternoon. 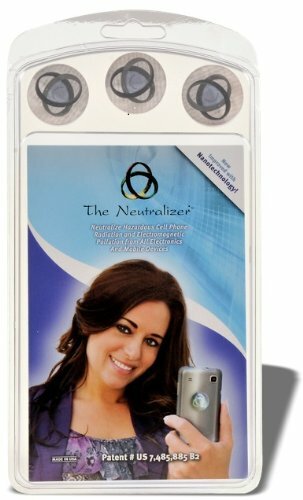 The Neutralizers are awesome my husband can definitely tell a difference…. He doesn’t have this problem now. Thank You! Author: CW from Miami, FL. For the first time I feel SAFE talking on the cell phones. Now we are getting them for our children’s cell phones! I have sold a case of the cell phone protection discs. Every one that I muscle test to determine validity tests excellent for protection plus additional strength with the discs. Thank you. I have a Neutralizer on all my cordless phones as well as my cell phone, and I wont let my daughter or her friends use their cell without one. It really is the only genuine thing on the market – try muscle testing with and without one, – it’ll blow you away.